Are you looking for a delicious beef recipe with a difference? If you are, you’ve found it! 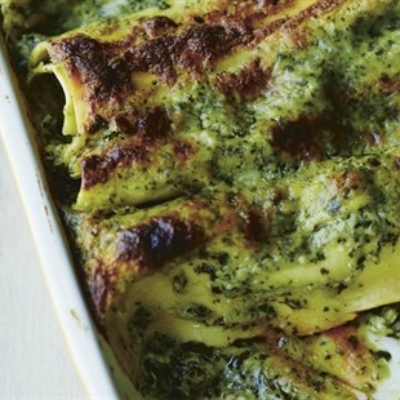 Here’s my cannelloni with pesto and béchamel sauce for you to enjoy. Cannelloni was invented in Sorrento in the early 1900s by a chef from Naples. 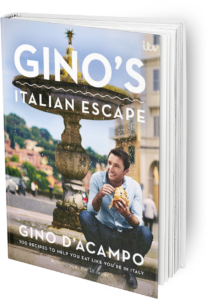 Today you’ll find a recipe for it in many Italian cookery books, so I had to include a version here. As you’ll see, this is a traditional-style cannelloni with a bit of a twist, and I think you will love the result. 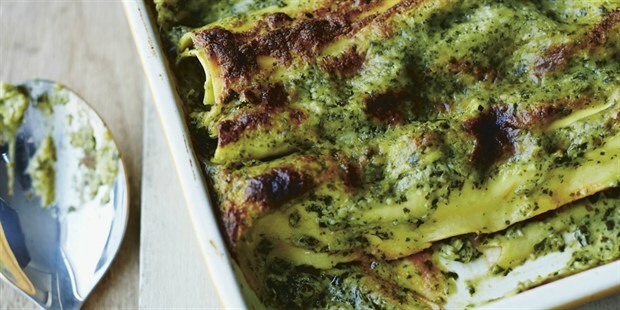 Feast your eyes on the finest cannelloni with pesto and béchamel sauce! It’s straightforward and fun to make this great dish. Simply follow the instructions below and get the perfect result. Place the oil in a large saucepan over a low heat and gently fry the onion, carrot and courgette for 10 minutes, until softened. Add the minced beef and stir continuously for a further 5 minutes to allow the meat to cook evenly. Add the wine, bring to a simmer and cook gently for a couple of minutes to allow the alcohol to evaporate. Add the tomato purée, basil leaves and passata, stirring with a wooden spoon. Simmer on a low heat, with the lid half on, for 30 minutes, stirring occasionally. Season with salt and pepper, then leave to cool at room temperature. To make the pesto, put the pine nuts, basil, garlic, olive oil and Parmesan in a food processor or blender and blitz together. Set aside. To make the béchamel sauce, melt the butter in a large saucepan over a low heat. Add the flour, whisking constantly, until you get a thick, creamy texture with a light brown colour. Pour in a third of the milk and continue whisking. When the mixture starts to thicken, pour in another third of the milk and continue whisking. Once thickened again, pour in the rest of the milk and the Parmesan. Whisk until the sauce has a custard-like consistency. Remove from the heat and mix in the prepared pesto. Pour a third of the pesto béchamel into the bottom of a baking dish measuring about 30 x 20cm and 5cm deep. Place a pasta sheet on a chopping board with the longer side nearest you and put a heaped tablespoon of the beef sauce along one edge. Gently roll the pasta forward to create a filled cannelloni. Repeat until all the pasta sheets are filled. Place the cannelloni, seam downwards, in the baking dish and pour the remaining pesto béchamel over them. Bake in the oven for 45 minutes until the top is golden brown and crispy. Set aside to rest for 10 minutes before serving – this helps the cannelloni to hold together better. If you are preparing the cannelloni the day before you plan to eat it, cover with cling film and refrigerate. Take out of the fridge 20 minutes before cooking, and bake in a preheated oven at 180ºC/gas mark 4 for 45 minutes. Once you’re done, simply sit back and enjoy your cannelloni with pesto and béchamel sauce and don’t forget to check out other great authentic Italian recipes including great antipasti recipes, Italian pasta recipes, Italian soup recipes, Italian beef dishes and authentic pizza recipes.